Home to America’s first commercial winery, today Kentucky’s wine industry blends history and heritage with modern wine-making practices and techniques. Keep Kentucky Growing. It’s good for you. It’s good for them. It’s good for Kentucky. The quintessential yearly guide to the best wines produced throughout the Commonwealth. 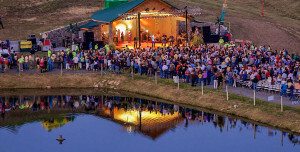 Events, concerts, festivals and anything else Kentucky wine related happening around the state.